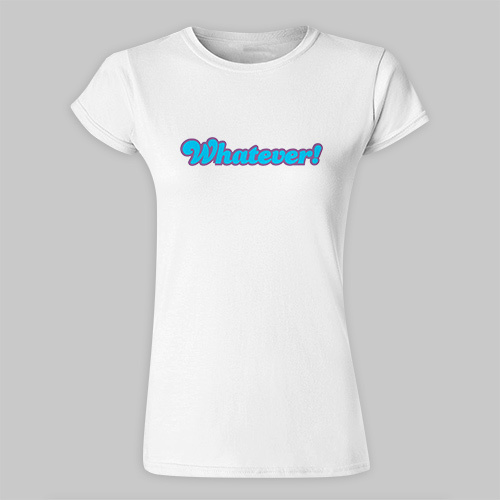 Create a fun and interesting Personalized Retro Name Womens Fitted T-Shirt for the young lady in your life. Whether she is a teen or slightly older, she is sure to love this bright and comfortable Personalized Fitted T-Shirt. Whether you place her name or favorite saying on this Custom Printed Fitted T-Shirt, she is sure to look great wearing it out with family or friends. Your Personalized Retro Teen Girl Fitted T-Shirt is available on our premium 100% soft-style cotton, Personalized Ladies' Fitted T-Shirt, machine washable in adult sizes S-2XL. Please Note:3XL is available in Black and White Only. Shirt is 4.5 oz, pre-shrunk, double-needle stitched sleeve and bottom hemmed. Personalized T-shirt includes FREE Personalization! 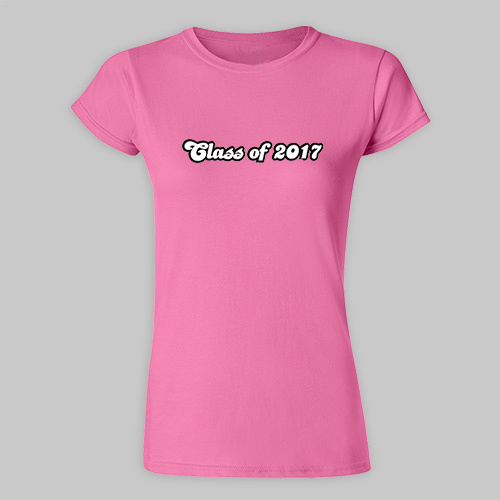 Personalize your Ladies Fitted T-Shirt with any name. Choose between three great color combinations, Orange/Pink, Blue/Purple or Black/White. Very nice t-shirt! I personalized it for my daughter's birthday. Im glad I picked this shirt for my daughter, she absolutely loves it! GiftsForYouNow.com has a large variety of Personalized Birthday Gifts for your children, niece's, nephew's or grandchildren. Create a personalized gift just for them for their special birthday.